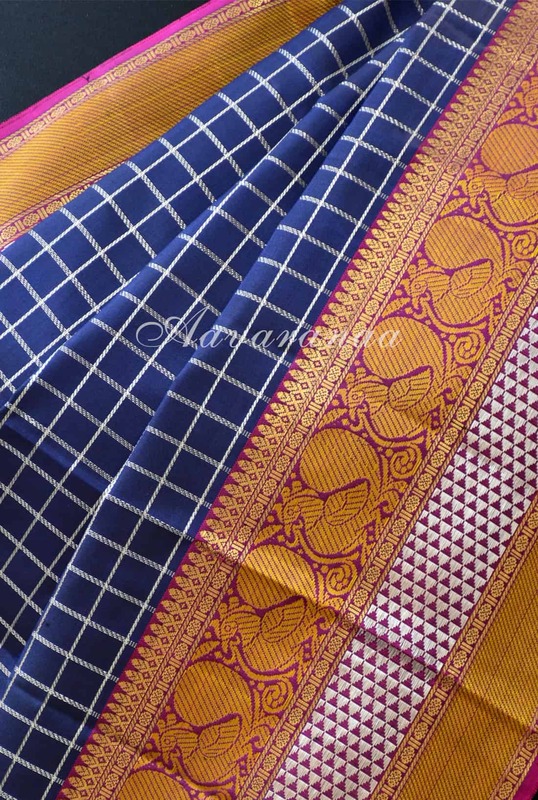 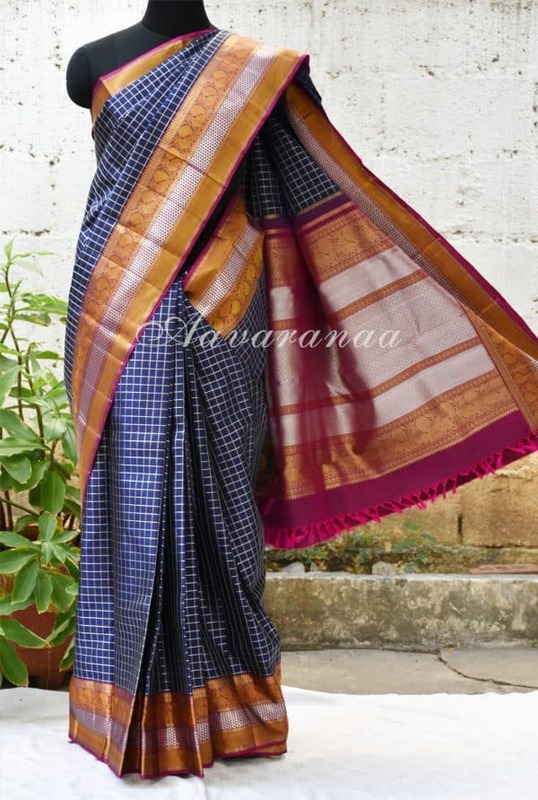 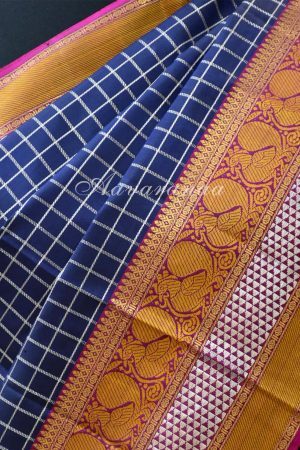 Navy blue kancheepuram silk saree with silver zari checks all over the body and a pink contrast border. 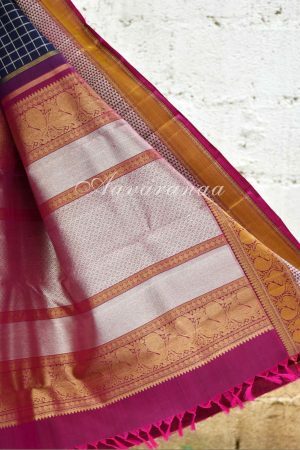 The border has both silver and gold zari all through. 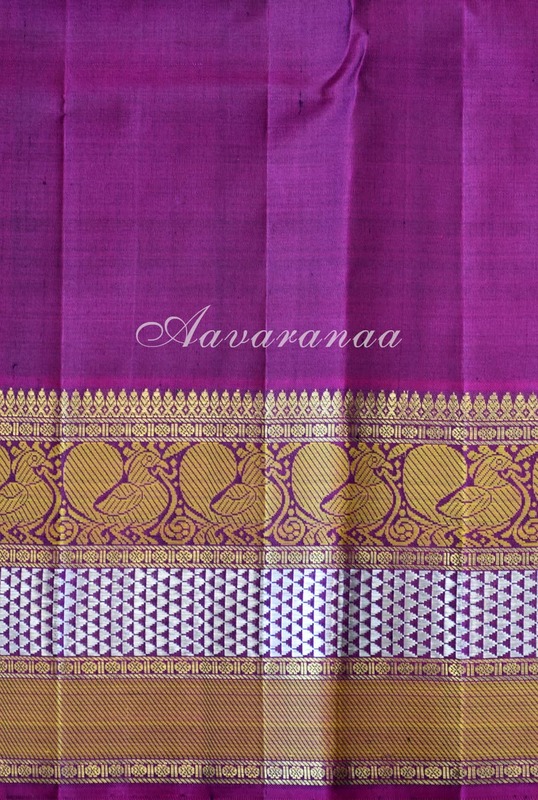 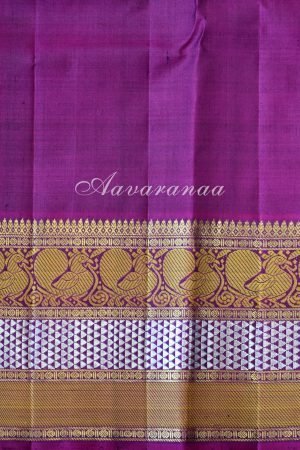 The pallu is deep pink like the border with zari weaving.